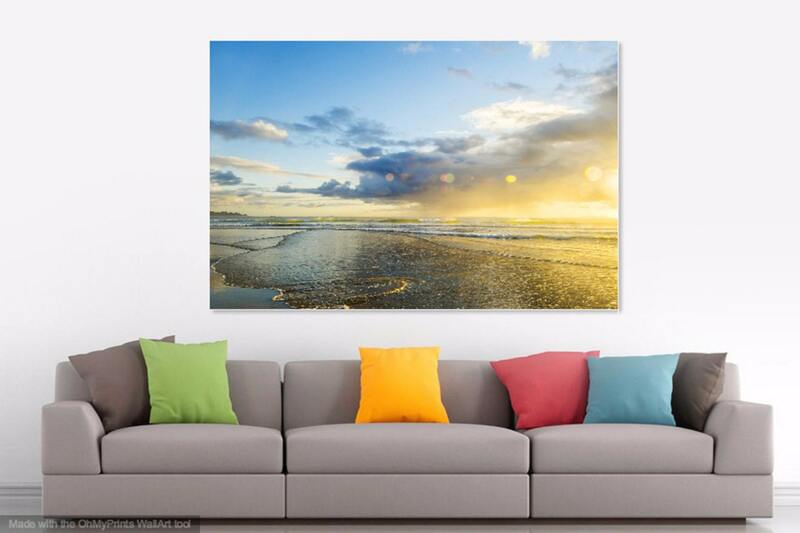 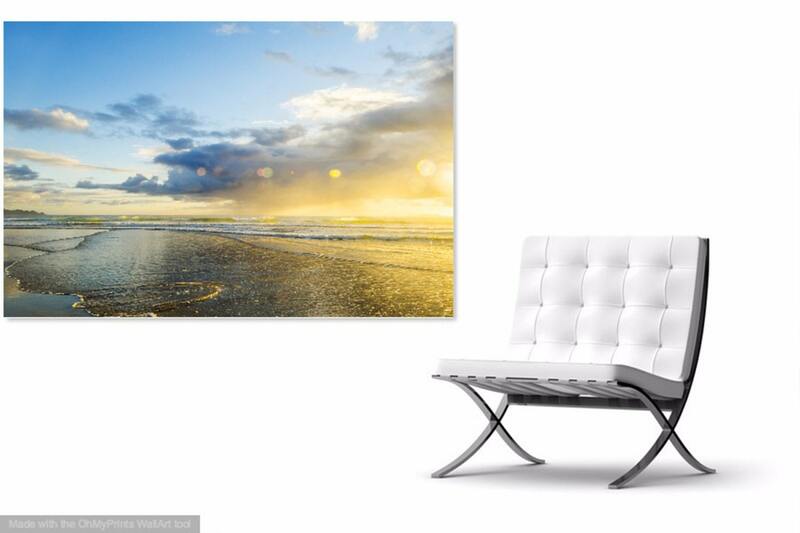 A large colour print of a beach sunrise with rain in the North Island of New Zealand. 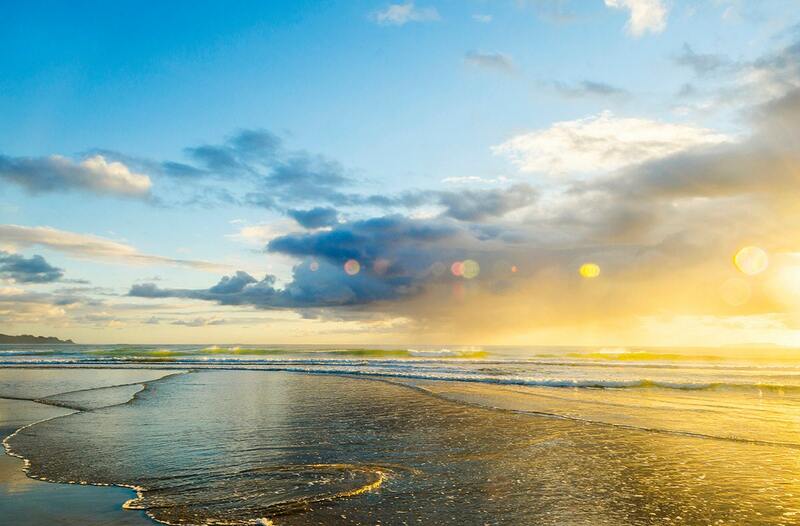 I particular love the sparkly flare effect that the rain has given the picture. 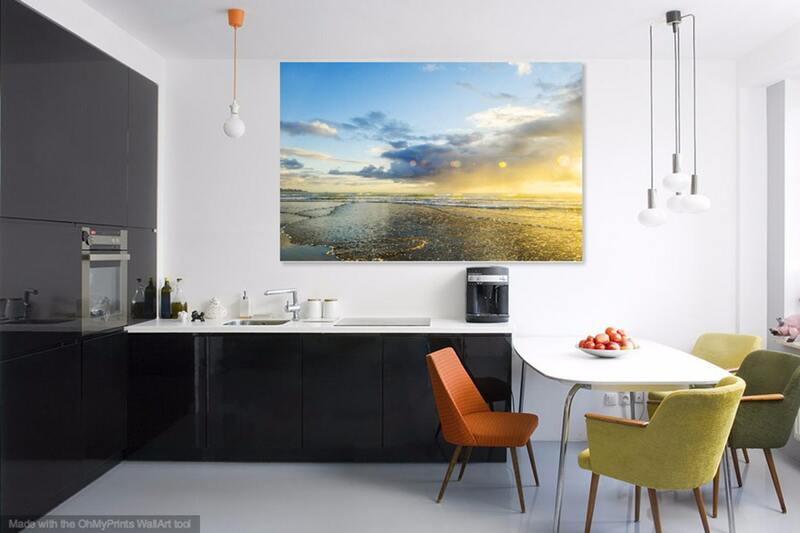 This image looks stunning as a large print !